Day 1: Callejón de Huaylas / Camposanto de Yungay / Llanganuco Lagoon / Caraz. A.M: Arrival to the city of Huaraz, reception at the bus station and transfer to selected hotel. 8:30 am: Breakfast at hotel. 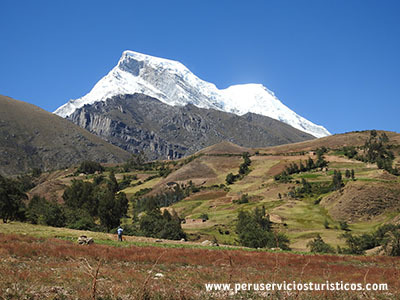 9:00 a.m: The first tours will go through Callejón de Huaylas, the north of Huaraz, passing and appreciating the picturesque Andean villages and the unique beauty of its Cordillera Blanca mountain range (We will see snow-capped Huascarán, Peru's highest mountain) and the Cordillera Negra mountain range. We will pass through the villages of Paltay, Taricá, Jangas, Yungar, and Anta. We make stopovers in Carhuaz to take photos in the main square, and to taste delicious ice-cream natural fruit and liquor. As the tours continues, we pass through the towns of Toma, Tinco and Mancos. We arrive to the graveyard of the town of Yungay, which was completely destroyed by the earthquake and following avalanche in 1970. Later we will enter Huascarán Nacional Park, being the main atraction of this trip the beautiful Llanganuco lagoon; Chinancocha (female lagoon) where you can enjoy horseback riding or take a small hike around the lagoon and enjoy the surrounding mountain view, at the majesty of the snow topped mountains as Huascarán, Yanapaccha, Pisco and Huandoy, and also its plant and wildlife that surround the lake. Besides, there will be opportunity to delight your palate by trying typical dishes that the locals make nearby. 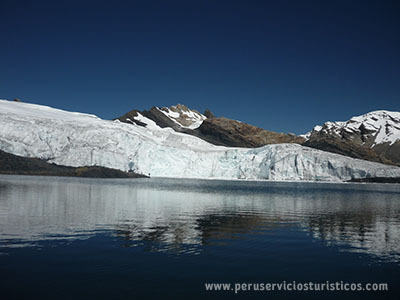 We enter the Huascaran National Park, the main attraction of this trip the beautiful Llanganuco lagoon (3,850 masl), also called "Chinan Cocha", where you can indulge in horse riding or boating, make a little walk around the lagoon. Here you will have beautiful panoramic view of the nearby mountains like Huascarán, Yanapaccha and Huandoy, besides enjoy the wildlife surrounding this lagoon. On the way back we will go the city of Caraz to visit the main plaza and its famous factory of dairy and other products from the region such as white manjar, fruit ice cream and liqueur, honey, jelly, cheese, soft cheese (quesillo), butter, legs of ham, special bread, etc. Finishing our tour we´ll visit the utilitarian and decorative artisans of Taricá. Day 2: Chavin de Huantar / Querococha Lagoon / Chavin National Museum. 8:30 am: Breakfast at the hotel. 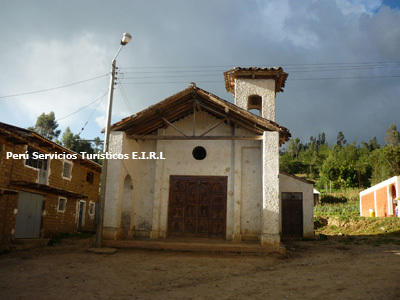 9:00 a.m: Tour the Valley of the Conchucos, visiting the andean towns of Recuay, Ticapampa and Catac, reaching the Querococha Lagoon (in Quechua: wood lagoon). We´ll make a stop to take photos, we´ll apreciate the map of Perú (fault line), after we´ll pass through Cauish Tunnel (4550 masl and 480 m long). The Conchucos Valley with its andean villages of Tambillos, Machac, Quercos, and finally arriving to Archaeological Monument of Chavín. Here you can appreciate the Stela Raimondi, Choquechinchay Stone, portal of the falcons, the lanzon monolithic, circular plaza, the Tenon Head. 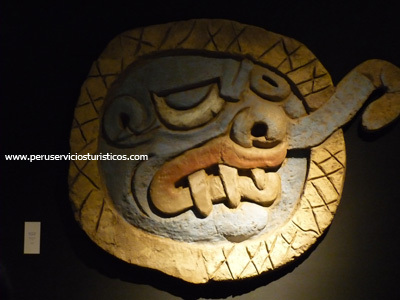 Visit to the Chavin National Museum. 7:30 am: Breakfast at the hotel. 8:00 a.m: Unforgettable adventure tourism, visiting the towns of Recuay, Ticapampa and Cátac. We will know the Patococha lagoon, natural carbonated mineral springs, the Puya Raimondi plants (the most beautiful exponent of the high andean flora), prehistoric wall paintings. The trek up to the Pastoruri snowed takes about an hour, although you can ride horse or mule to the place. 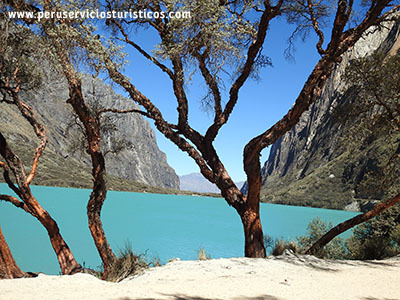 Here you can apreciate ice caves and a frozen lagoon..
Day 4: City Tours in Huaraz / Thermal Baths of Monterrey. 9:00 am: Breakfast at the hotel. 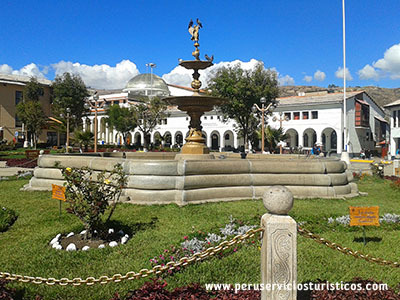 10:00 a.m: Tours through the city of Huaraz and sorroundings where you will be able to appreciate the Main Square, The Archaeological Museum of Ancash, José Olaya street (typical street that survived de earthquake of 1970), the view point of Huaraz, hot spring of Monterrey. PM: Transfer to the bus terminal..
» 3 Nigths of Accommodations in Huaraz. Tours: Callejón de Huaylas / Llanganuco Lagoon / Caraz. 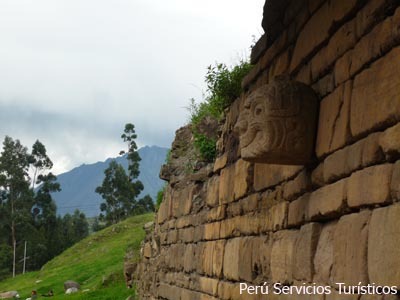 Tours: Archaeological Monument of Chavin de Huantar / Querococha Lagoon / Chavin National Museum. Tours: Pastoruri Snowed / Paintings / Puya Raimondi. City Tour Huaraz / hot spring of Monterrey. » Transport from and to bus station. » Permanent attention by our travel agency personnel. » Tablets for altitude sickness.